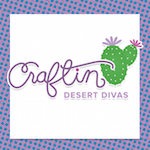 Hello Divas! 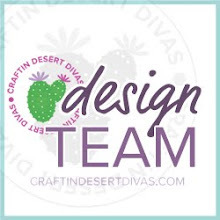 It's Meg here with you today, for my first DT tutorial! 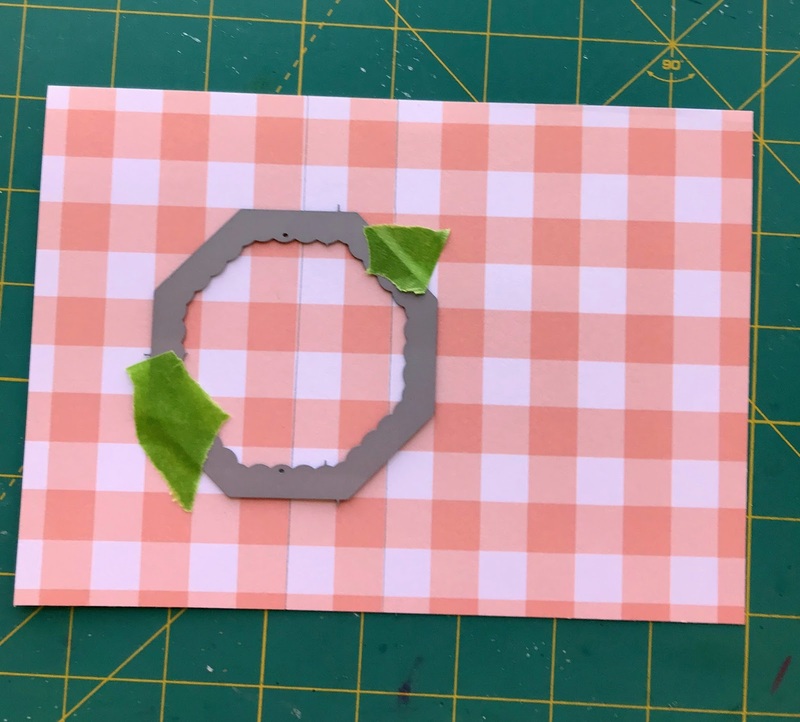 I love using my dies in different and unique ways, and am always partially cutting one for a project. I made a video of the flipping action, but couldn't get it to load onto my computer. I'm sorry. If you Youtube it though, you can see lots of examples! STEP 1. 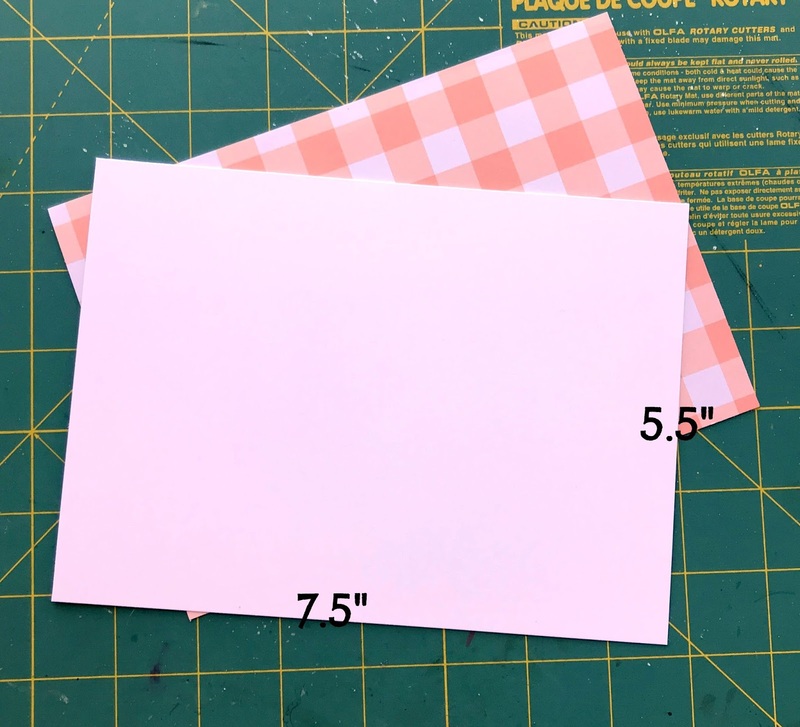 To make a card that measures 5.5" square, cut a piece of cardstock to 5.5 x 7.5". If you are using patterned paper also, do the same. STEP 2. With a pencil, draw a line down the center of both papers and 1" to the left. 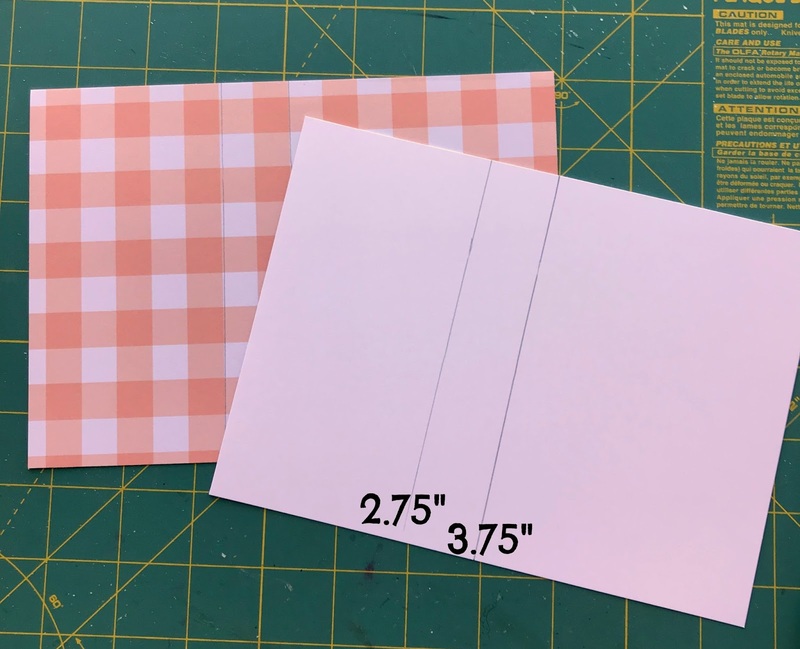 Your marks will be at 3.75" and 2.75". STEP 3. 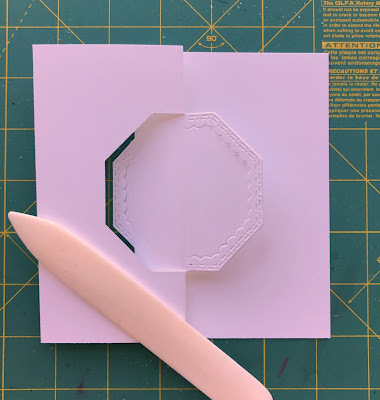 (If not using patterned paper, skip this step). Take your die and center it on the 2.75" line of your patterned paper. You will notice that the die lies over both lines - that is good. STEP 4. 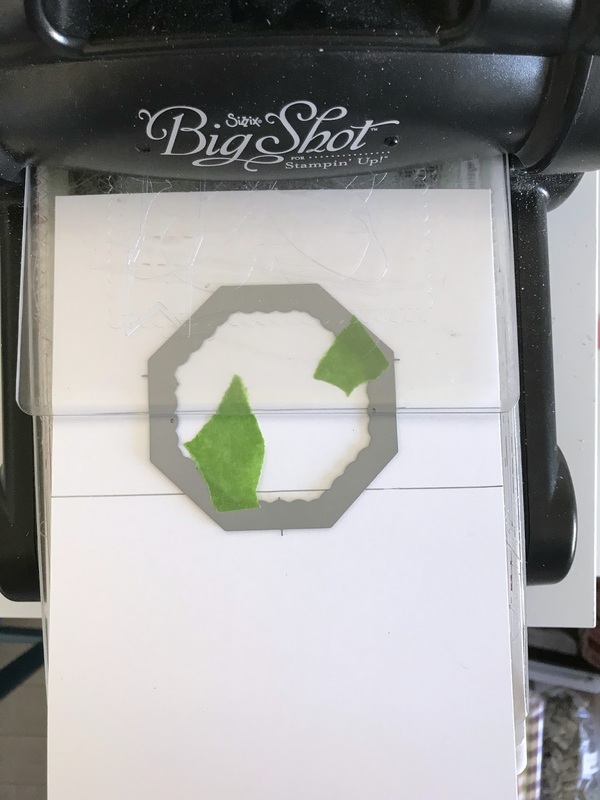 Run the patterned paper through the die-cutting machine, and set aside the cut-outs for another project (we don't need them). 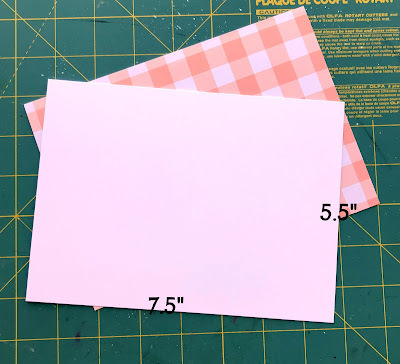 Then, take your paper and match the lines up on your cardstock base. STEP 5. 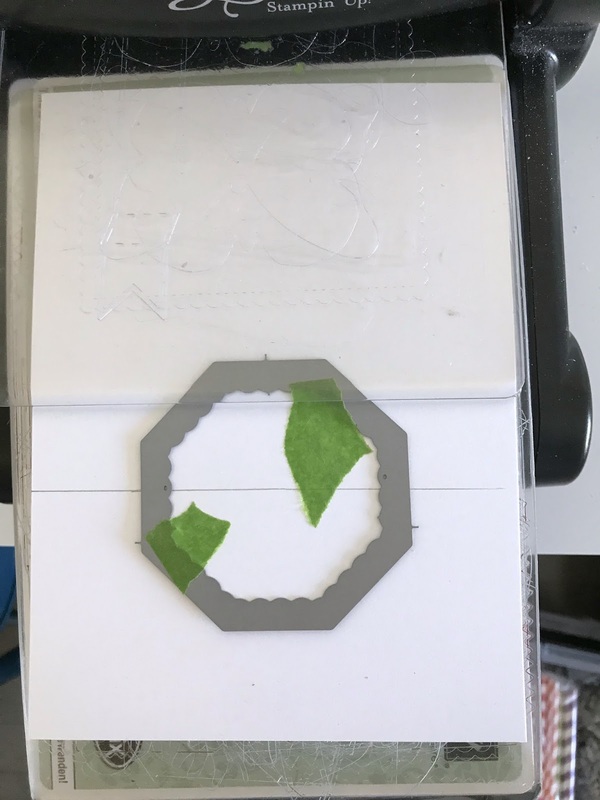 Position your die over the hole, and secure it in place (tape towards the inside). STEP 6. Carefully remove patterned paper, leaving the die in place. Now, you will know exactly where to cut your die. STEP 7. 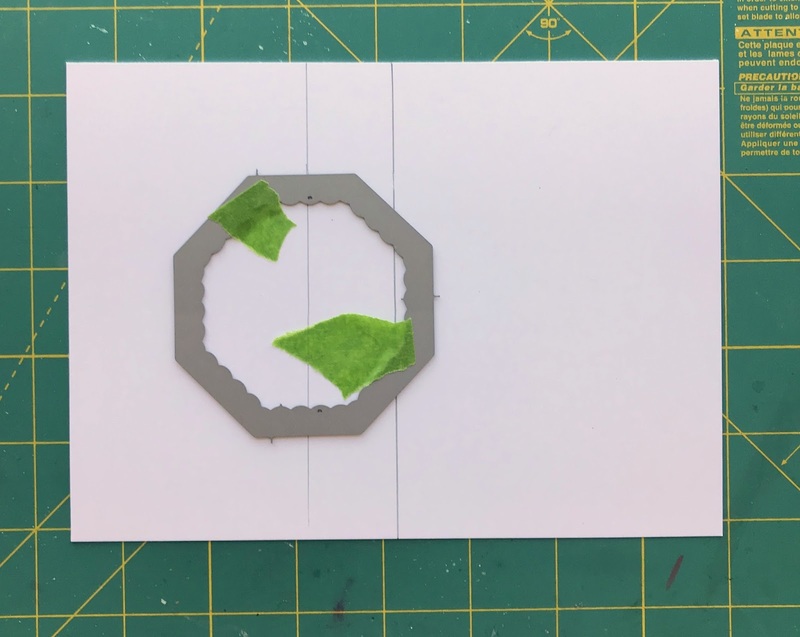 Use the lines as guides where to position the top plate of your die cutting machine, like this. That way, you will cut panels 1 and 3, while leaving panel 2 with no cuts. STEP 8. Now, you've got your cuts. 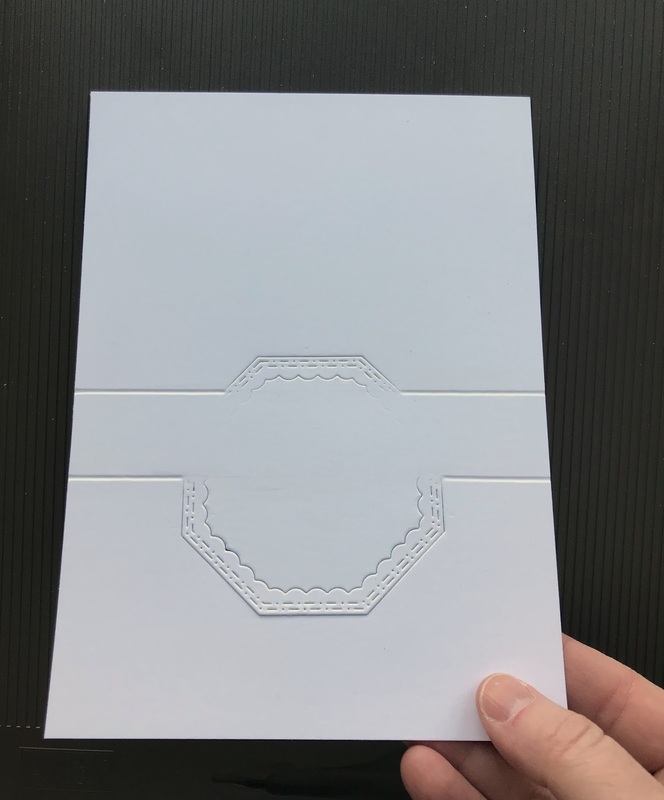 You just need to score the card so that it folds. 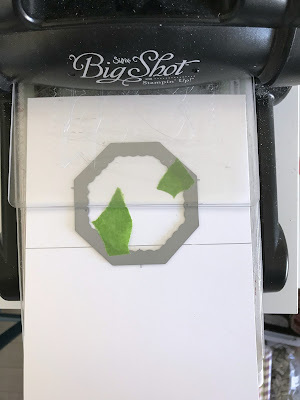 Score on the lines you drew from the die cuts to the edges of the paper (not in the middle). After you score, erase the lines. STEP 10. 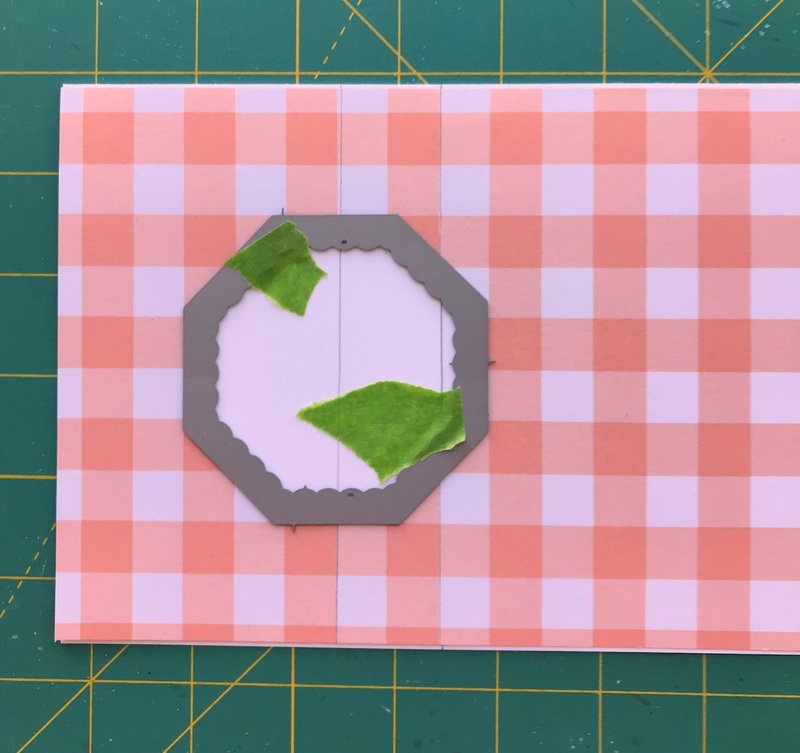 I hope you haven't forgotten about your patterned paper! 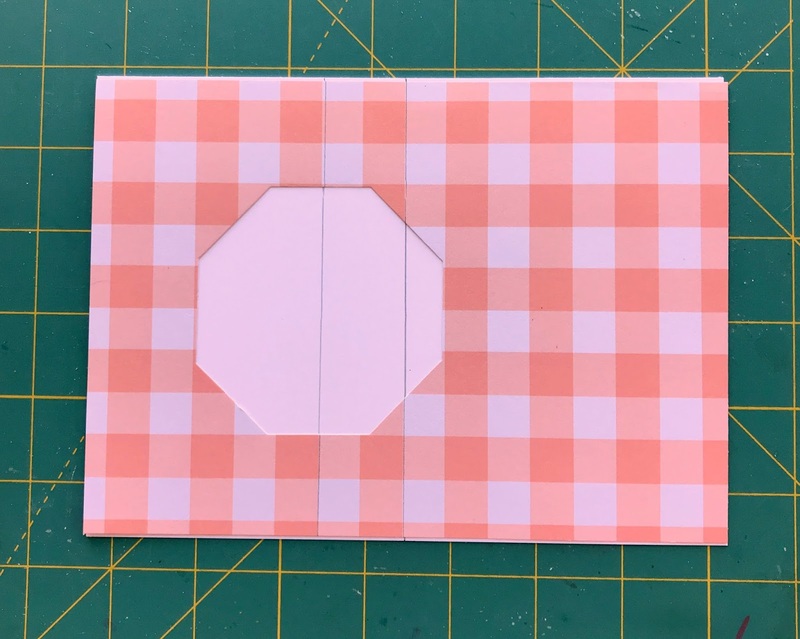 Simply cut on the drawn lines and use those pieces to fit around your card base! 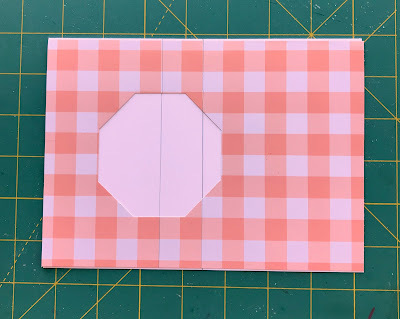 This is a fun and easy fancy-fold card, and so many of the Craftin Desert Divas dies work perfectly for the technique! That’s a wonderful card ! And I really love your coloring in the medallion.